She's right, the movie is amazing, though fairly underrated in the face of other fabulous movies from that era, such as Breakfast at Tiffany's. I first saw the movie when I was about seven years old and instantly fell in love with the music and costumes. I would peruse the TV guide in the newspaper constantly to find when it was on, but it was always difficult to find the movie on video (and I do mean VHS). 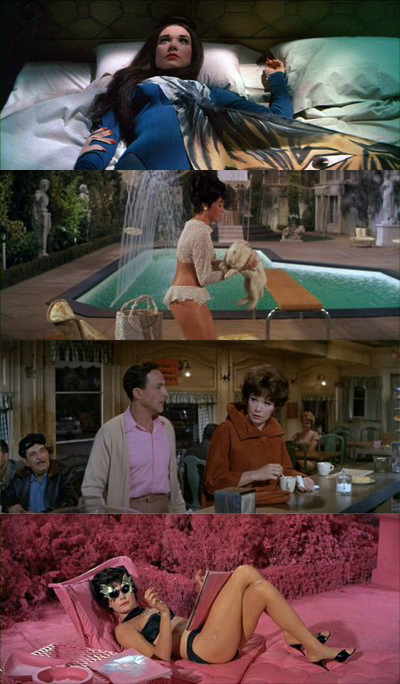 The movie stars Shirley MacLaine as a young woman who yearns for a simple life and marries men who are meek and poor. However, after she marries them, they become fabulously rich then die in some ridiculous way. It's kitschy, but amazing. I started thinking about the movie a few weeks ago and decided to see if it was on Amazon. It was! So, I purchased it and quickly got back into what I loved about the film. Seriously, best movie fashion ever! If you haven't seen this film, I strongly suggest renting it NOW!